De Amerikaan Jake Silverberg is al enkel weken in ons land en heeft sinds vandaag een nieuwe ploeg gevonden. Jake zal de rest van het seizoen zijn wedstrijden betwisten voor het Home Solution-Anmapa-Soenens Cycling Team. "I'm super excited to join Home-Solution-anmapa-soenens cycling team for the remainder of 2016. I came to Belgium to find a team that I could prove I'm worth the opportunity to work with. I think they offer a nice calendar of races. 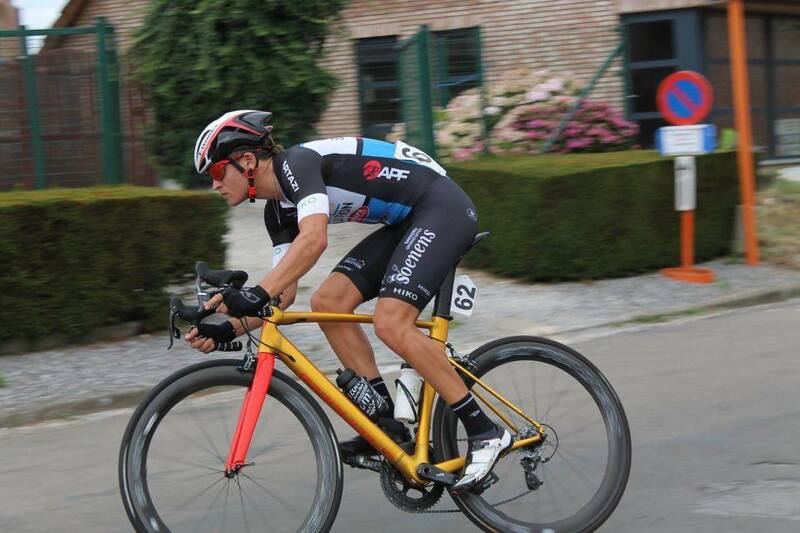 As you may know two years ago in 2015 I raced for Avia-Crabbe with Jo van Gossum in Sint-Truiden. It was one of the best experiences of my life. After two years on the American Pro circuit riding for a continental team, I think I'm now two years stronger and more experienced. I'm prepared to take the next step and that's what I'm here to prove! I want to thank the management, staff, & riders of my team for giving me a warm welcome. Im super excited to ride with all of you to victory! My goal is that by the time I leave here at the end of the season I have a spot of the team for 2017 as well. ": tell Jake.